Origins promises to create high-performance natural skincare that uses only 100% natural essential oils and certified organic ingredients As you may have heard, Luxola just added in Origins to their extensive list of brands. I have heard of Origins but have yet to try any of their products. I'm kind of excited to use these because who doesn't like oils and treatment lotions? 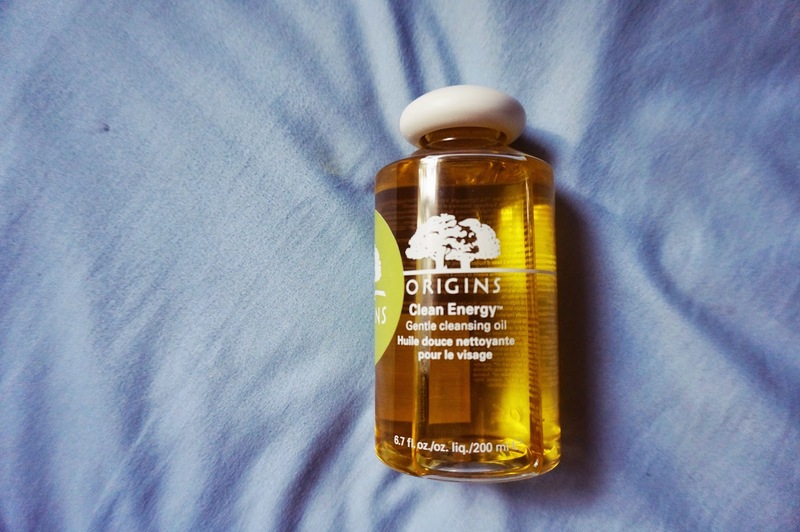 The first product I tried was Clean Energy™ Gentle cleansing oil. You all must have heard the benefits of cleansing oil and how it is useful to remove the makeup and impurities on your face. This is a lightweight, high-tech, hybrid formula made up of non-comedogenic Olive, Sunflower, Sesame and Safflower Oils. I use it after a long day with heavy makeup on, usually on the weekends. How I use it is by pouring some on my hand and spread it on my face and massage gently. After that, I use a warm cloth and wipe it off. It has a citrus smell on it and oh my god, it is so heavenly. It will help you to relax after a long day. I don't use this daily but on weekends when I have full makeup on my face and I need a slightly strong cleanser to remove everything. With that being said, it doesn't mean that it will strip off the moisture off your face, so don't worry. I have yet to notice any breakouts after using this. So it's all good for oily/combo skin! I can see myself getting another bottle after this. I might even permanently use this as my daily makeup remover! The only disadvantage? It doesn't come with a pump which is inconvenient and a little unhygienic, in my opinion. I always either pour too much or too little. The first time I used it, I could probably divide the amount for 3 uses. Also, this is quite a detailed cleansing process so you need to spare a few more minutes than your usual routine. I'm all up for good skin so time is not an issue for me. The next product is Make A Difference™ Plus+ Skin rejuvenating treatment lotion which is a pre-moisturising treatment lotion to prep and rejuvenate your skin. It has ingredients such as rose of Jericho, Lychee and Watermelon. So can you just imagine the smell? Please note that this is an additional treatment, not a toner. It is recommended to use this morning and night daily but I have another set of routine at night so I use this in the morning to prep my skin before I use my Klarity CC Cream. The moment you put this on your skin you will feel the coolness on your skin and it can be a little prickly if you have a sensitive skin. It absorbs into the skin quickly. But something I notice after using this is my skin tend to get a little bit more oily than usual. By 11am, my skin goes all out oily and I will have to blot or powder. I guess this treatment will be better for dry skin and those who need a little more hydration. I will continue to use this till I'm done with the whole bottle and see if there is a long-time effect. Will update here if there are any changes! The products are both $46 and $48 respectively. If you are shopping at Luxola, we have a 30% discount code for you girls (first-time purchases only!) to utilise at Luxola. Unfortunately, you can't use this for Origins (and non-discountable brands) but hey, Luxola offers a wide variety of brands so use it for other brands! So yay for that! Have fun shopping!